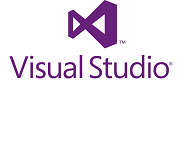 Visual Studio is an Integrated Development Environment (IDE) that provides a collection of developer tools and services to enable you to create apps for the Web, Windows, Mobile and Cloud. So far, we have published 83 Visual Studio tutorials and articles, which have been read by over 4522696 (Four Million Five Hundred Twenty Two Thousand Six Hundred Ninety Six) developers and architects. Abstract: A compilation of our best Visual Studio 2015, Windows Azure with MVC, C#, Software Gardening, Design Patterns, WPF and UWP articles authored in 2015. Abstract: The new XAML tools provided in Visual Studio 2015 helps developers to effectively manage and work with XAML based applications for UI Debugging, Performance etc. This article gives you an overview of the new XAML tools. Abstract: The debugging features in Visual Studio 2015 are developer friendly and easy to use. This article demonstrates how developers can use these features for effective debugging management. Abstract: Explore some new IDE features in Visual Studio 2015 which makes developers more productive. Abstract: The tools for Parallel debugging in Visual Studio 2012/2013 are pretty awesome. Find out how! Abstract: A quick overview of the new features in Visual Studio 2013 (Preview) for Web Developers. We also take a peek at Mads Kristensen’s excellent Visual Studio plugin - Web Essentials. Abstract: The Code Map and Debugger Integration in Visual Studio 2012 can add a lot of value in large sized projects with plenty of legacy code and sparse documentation. This article explore these new features.